We believe we have the Best Foreign Auto Parts shop in the Portland and Vancouver area because of the huge amount of foreign auto parts we offer. Bartosh Import Auto Parts will provide you with straight forward service from a team of Import auto car specialists who will use our huge database of foreign auto parts to help you find the part you need. All parts are OEM parts or better quality. You’ll find the foreign auto parts service you need with our expert mechanics. 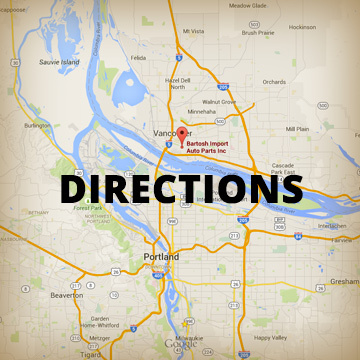 Call us at 360-695-2243 to see if we have the foreign auto part you need.